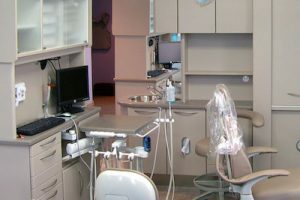 Almost everyone sets considerable importance into keeping up with their dental care, yet many of our patients throughout the Sidney, OH area are generally not aware of just what is located under the gum line. Though teeth seem little, they are in reality considerably larger than people realize. When gum disease starts, routine cleanings are inadequate to totally recover your teeth and gum tissues back to a healthy condition. As soon as your gum tissues get inflammation from periodontal disease, deep cleanings become vital. Our team is commonly asked, “What does Deep Cleaning include?” A deep teeth cleaning is additionally referred to as scaling and root planing. Scaling removes tartar and microbial build up which could be stuck underneath the gum line, on the roots and within the pockets of periodontal tissue, bordering the roots of teeth. Root planing refines the roots of bumpy areas in which microorganisms and bacteria are likely to flourish. This particular technique really helps your gums to recover and also permits your gum pockets to decrease. Antimicrobial drugs can additionally be placed under the gum line to further assist the restorative process. The deep cleaning process commonly takes two to four appointments, and also entails a local anesthetic (“numbing”) for treatment. Gum disease is, unfortunately, not curable as it is a systemic disease, similar to diabetes or high blood pressure. This makes deep cleanings extremely important, assuming that you want to sustain good oral health. Gum disease is often a “silent disease” as well, given that the majority of individuals do not have any sort of noteworthy pain or indicators. Periodontal disease attacks the entire structure of your teeth and degrades the bone, roots and periodontal tissue. In the event that the tartar and bacteria are allowed to amass below the gum line, this will result in tooth movement and loss. If not properly managed, mouth bacteria will have an effect on your entire body, not just the gums and teeth. After the preliminary disease process is managed by using deep cleanings, it is imperative to get frequent upkeep cleanings to stop further irritation and loss of bone around the teeth. The purpose of deep cleanings is to restrict the active disease process, preserve the oral health, and maintain strengthened oral and general health. To learn more on deep cleaning, go to Oral-B’s web page. To read more on ways to help prevent gum disease, contact our office or follow us on Facebook, Twitter or Google+.